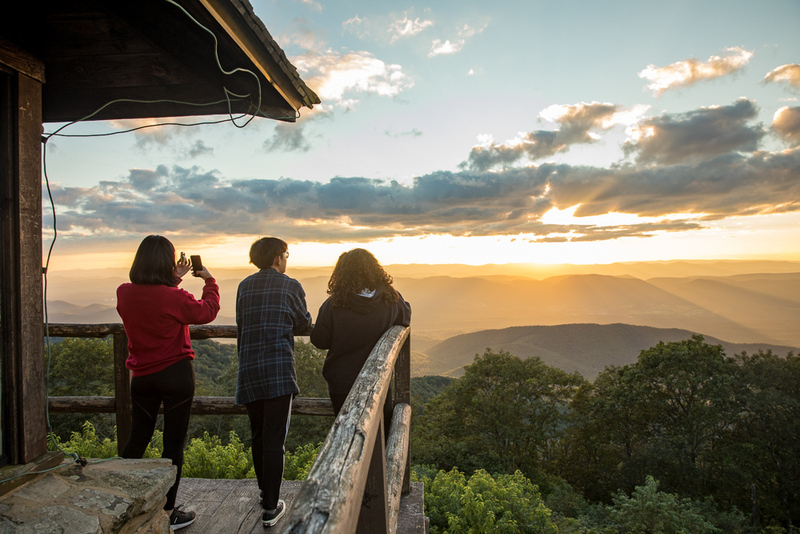 From the beauty of a sunset from the High Knob overlook to residence life assistants on a mock safari, enjoy a collection of the best photos of 2018, selected by Eastern Mennonite University’s photography and videography manager Andrew Strack. 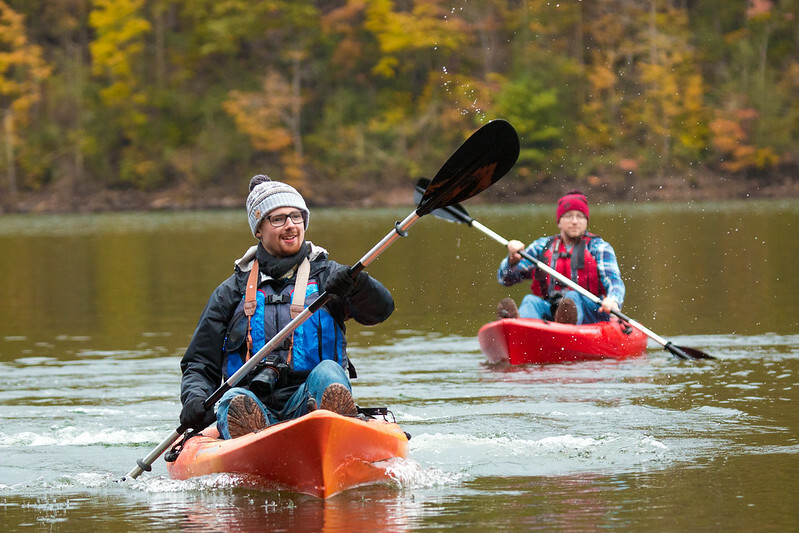 On any given day, Eastern Mennonite University’s team of photographers might be scheduled to document “class activities, poetry readings, workshops, a concert, or even updates to personnel portraits,” says head photography and videography manager Andrew Strack. The ongoing challenge is “show the best of the learning community that our faculty, staff and students engage in together every day,” he said. Strack’s curation of 2018 images showcases his own work, as well as contributions by staffer Macson McGuigan ’17 and creative director Jon Styer ’07. Freelancer Jonathan Bush ’15, a former marketing and communications intern now based in Lancaster, Pennsylvania, also made the cut. “I tried to focus on high-quality images that may not have been displayed in our news coverage or in other venues,” he said. The photographers stay busy year-round on and off campus. In 2018, Styer traveled to Atlanta to photograph alumni for Crossroads magazine, and Strack made a rare trip north to Nationals Park baseball stadium to capture images of Milwaukee Brewers catcher Erik Kratz ‘02. But it was an image taken by McGuigan of inmates at Coffeewood Correctional Facility, reading a play with EMU students and Professor Marti Eads, that Strack selected to represent these unique off-campus opportunities. Viewers will also see among the “Best Of 2018” photos many fresh new angles of the EMU campus and community – a constant challenge. “Trying to show this place from a new perspective in a creative way is a daily goal,” Strack said. Always looking for new perspectives means getting out of your comfort zone, he said. For example, the pedestrian taking a wintry walk, viewed through foliage, was captured by stepping off the shoveled walkway and into the bushes, Strack said. Along with informal candid portraits, the photography team is also asked to work in staged shoots. The image of nursing professor Laura Yoder with her student was taken specifically for images to support marketing materials for the nursing simulation lab expansion. However, Yoder was giving real-time feedback in response to the student’s hands-on practice, so the expressions are authentic. Strack says working with professors on photo shoots is never forced because of the strength of the relationships they’ve built with students. “Though this is staged, you can see the kind of relationship that Laura has with her student, and that interaction is really the hallmark of what an EMU education is about — very much based on the warm relationship our students have with their professors,” he said. Candid photos offer a different challenge, such as the image taken during Homecoming of Professor Melody Pannell and alumnus Jeremy Webster. Pannell mentored Webster in her former role as director of multicultural student services; Webster, a track and field standout, was back on campus to be inducted into EMU’s Hall of Honor. View more photos at www.emu.edu/photos.